RMVB has become a popular format for Anime and Asian video because it has small file size and low bitrates with good quality. Watching RMVB video on iPad with super widescreen has won more and more Anime fans' heart. If you have collected plenty of funny and great RM RMVB videos on your computer, do you know how to play RM RMVB videos on iPad iPhone freely? Follow the prescribed order to convert the video to iPad-friendly format using any highly recommended iPad video converter programs? This way is OK if you have the energy and money to pay for the program to do the converting job and then sync RM RMVB video to iPad iPhone. If not? Then also DON'T be upset! Things could be simpler. 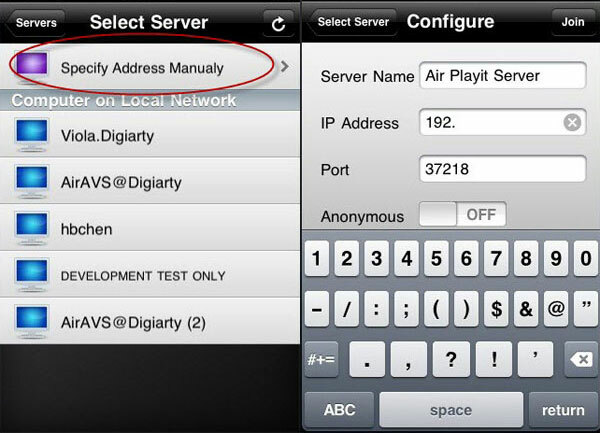 Whenever you want to play RMVB video on iPad iPhone, Air Playit shows you a different way for streaming RM RMVB videos to iPad iPhone directly from your computer hard disk without conversion and sync. With the server and the App client running separately on your PC/Mac and your iPad/iPhone, you can flawlessly watch RM RMVB video on iPad iPhone. 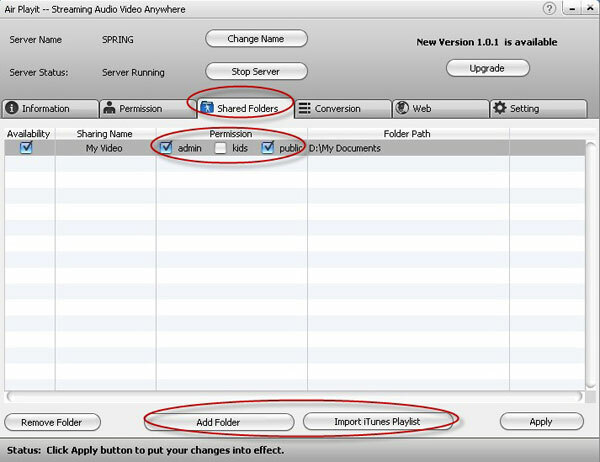 Before you streaming RM RMVB video to iPad iPhone, make sure you have downloaded the server on your computer and the App Client on your iPad iPhone. 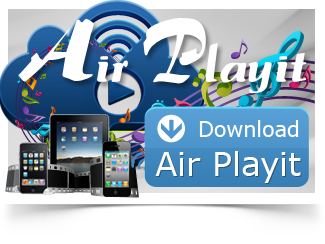 Both the Windows and Mac versions of Air Playit server are free. Step one: Run the Air Playit server and import the RM RMVB video into the server. Every time when you start streaming RM RMVB video to iPad iPhone, make sure the server is in the Running condition. And in the server, you can set the access permissions available for Admin, Kids or Public. Step Two: Install the Air Playit Client on your iPad iPhone. With WiFi, 3G/4G network, the App client will automatically connect the server installed on your PC/Mac by Bonjour Service. Or you can manually add the server IP address. Step Three: Streaming RM RMVB video to iPad iPhone is very easy to handle. Just a few clicks on the Air Playit client, you can hardly wait to watch RM video on iPad iPhone.